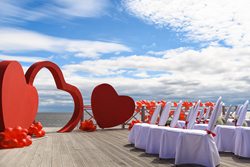 CEO of eToolkit Inc., Dmitry Koltsov was so inspired by Love Collage app that he dedicated his wedding to it. Love Collage, an app for combining, processing and decorating photos, turns snapshots into beautiful collages using unique photo frames, grids, effects and text. After creating a picture, users may print their design from their iOS or Android device, send or share it via social media. The wedding theme was entirely based on the Love Collage app design, featuring heart décor and collage structures strewn throughout the venue. Guests were dressed in main colors of app - red, pink and white and took some snapshots in the venue’s photo zones that were uploaded to the social networks with the #lovecollagewedding hashtag. 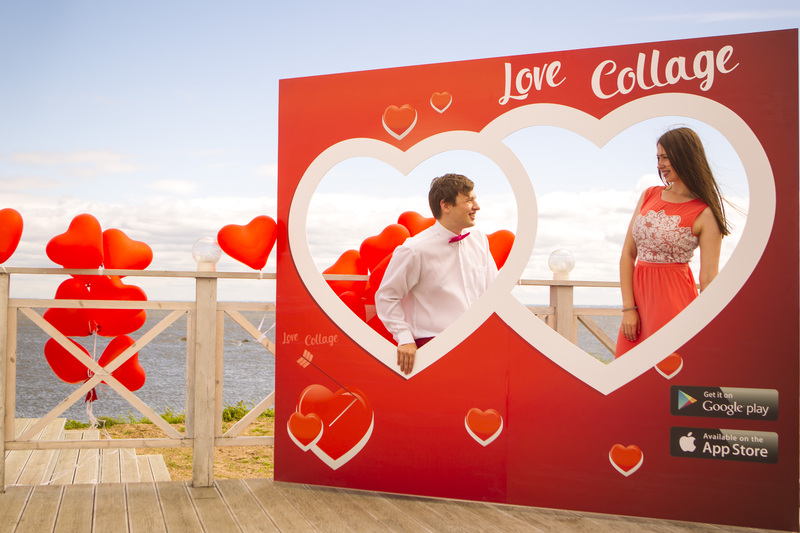 Moreover, photos with #lovecollagewedding hashtag were instantly printed using an InstaPrinter photo booth. During the wedding ceremony, the newlyweds agreed to join their hearts together in Love Collage, announcing their vows under the giant arch in the shape of a heart -- one of the frames featured in the app. Founded in 2011, eToolkit Inc. is focused on development of photo applications for mobile devices. The Company has developed over 30 apps for iOS, Android and Windows Phone-based devices. Love Collage is a mobile app that was released by eToolkit Inc. on September 2, 2013. Love Collage is an extremely popular app that is being used by almost 20 million people from 215 countries of the world. As for now, almost 1 million people per month download Love Collage.